Finding the perfect sword for belly dancing can be a daunting task. This is especially true if you are about to purchase your first scimitar, or if you are shopping for a sword on the Internet, and don’t have the opportunity to try it out in person. The best swords for someone who is just beginning to dance with scimitars are those that are perfectly balanced, height-proportionate, and not really light but also not a big heavy weapon, because you may need to increase your strength and work up to that. Medium size well-balanced dance sabers are pretty inexpensive, so once you get used to working with them, if you want a flashy, heavier sword, it wouldn’t break your bank to buy one after a few months of getting used to your "starter" sword- and that way, you will always have a spare on hand. You want a saber that'll stay on your head without rocking, and one that won't kill your neck and upper muscles until you build up the necessary stamina and strength. Also, durability figures in- you want it to stay balanced if- and when- it gets dropped, and believe me it will get dropped! Your selection will depend on a few different factors: aesthetics and personal taste is important. One dancer might want a gleaming new-looking sword that shines under the stage lights, while another may desire a weapon that looks more rustic, like it’s an authentic antique. There are also many shapes and sizes of swords to choose from, ranging from those with relatively thin blades without much curve to blades that have a deadly, sharp curve and get thicker at the end, towards the tip. The way the hilt (handle) looks and feels is also a factor. Some swords have a very utilitarian, simple-looking hilt with a flat cross guard, others are highly decorated, and ranging from ornately carved rounded or pointed pommels to dragonhead motifs. I even have a sword whose handle features a cast-brass figure of a leaping jaguar chasing a rabbit. If your sword features a cupped cross guard and you are left-handed, make sure it fits your hand properly, or get an “ambidextrous” sword with a flat cross-guard. Personally, I am not a fan of those flat swords, which look like they were cast in a mold. Yes, they are inexpensive, but I like my swords to look like real weapons, even if they were made specifically with dancing in mind. There are plenty available that look- and handle- much better than the cheap flat ones. Your choice will also depend on your size. A larger sword might be too heavy or dwarf a smaller performer onstage, while a smaller, shorter sword might look comical on a taller, more statuesque dancer. More importantly, your sword selection should be based on how experienced you are, as well as in the strength of the muscles in your neck, upper back, shoulders and arms. Remember, you are going to be balancing it on top of your head and will have to remain very stable while doing so, and that takes strength. You will also be arcing and swinging the sword while it’s held in your hand, and so it needs to be light enough for you to easily handle it. Another factor is price: swords can range from about $25.00 to $500.00, depending on quality, size, whether the sabre is custom-made or antique...but don’t think you need to make a huge investment in order to get a decent sword. There are many inexpensive options on the market today, so if you are a beginner and unsure of what to get, pick a slightly smaller, relatively affordable sword- you can always work your way up to a larger, heavier and more expensive one later. All swords balance differently, depending on the weight of the blade, the heft and angle of the hilt-or in laymen’s terms, the handle area- which includes the cross-guard and pommel, which is the decorative bolt at the top of the handle. When buying a sword for dancing, pick one that stands up straight on it’s edge (the blade edge) and doesn’t flop over flat. There are many scimitar options on the market today which are made strictly for dancing and are balanced already, so you will not have a problem finding a sword that suits you and your unique needs. When shopping for a sword in person, check it out and find the median balance point by testing the blade on the top of your wrist, then try it on your head. The balance point of the sword itself won’t be dead center; it will be more towards the sword’s handle. The optimum balance point on your head will be different depending on what type of sword you are using as well as what is easiest for you. For swords, my balance point is just in front of the center of my head- but everyone’s skull has a different shape. With some practice, you will find what is your most comfortable spot. If you are shopping for a sword on the Internet, you obviously can’t try it, so find a reputable dealer, and don’t be afraid to ask questions if specifications aren’t listed on the item’s description. Ask about length, weight, and if it includes a scabbard. Also ask how it is shipped, what it will be packed in (it may get banged around on it’s way to you and potentially fall out of balance) and also about the company’s return or exchange policy! Scimitars and swords that are either real military weapons or decorative items usually won’t balance properly. The souvenir swords are very light, and typically not constructed well- hello, they were made to be decorations! It would probably be much easier for a sword newbie to eschew these in favor of a sword made specifically for belly dance. Legitimate military weaponry, whether antique or contemporary, may or may not balance- and know that they are often quite pricey. Some were made for actual battle, others for ceremony. Of course they look amazing, but know that if you decide to purchase one of these, you will undoubtedly be gambling: you will have to take it apart yourself, or have someone else do it for you, or at the very least tweak the hilt or pommel in order to get it to balance. Before swords were mass-produced for dancing, I used vintage military swords. I owned a Pakistani Army scimitar, which balanced perfectly when the entire hilt was inverted, but that made the ornate cross-guard sit upside down, so I really had to adjust the way I held the weapon itself. The other was an Afghani scimitar, which sadly never balanced at all but was gorgeous. The last one was a serious antique- a Persian Shamshir that was given to me as a birthday gift. It was stunningly beautiful- but weighed maybe ten or twelve pounds. Well, since it was my birthday, I made the mistake of unsheathing it after I’d ingested three or four margaritas. The blade, full of beautiful scrollwork, was oxidized to a dark color, and it looked very lethal. I immediately got the sense that this weapon had probably killed –or at least seriously wounded- someone, but that just made it all the more glamorous for me! “Wow, just look at this,” I purred, holding the scimitar vertically in front of me, showing it off. I mentioned I’d heard that in the early Ottoman Empire, to test the sharpness of the scimitar’s blade, that soldiers used to toss a piece of silk up in the air, and when it landed on the blade, if the material effortlessly split in half, the sword was sharp enough for battle. With that, I joked that my present looked like it would definitely split silk. “Look how sharp it is!” I cried, all full of tipsy bravado. With that, I ran my index finger down the blade from the tip to the center. At first I didn’t understand why my birthday guests looked horrified, until I realized my finger was bleeding profusely, and my blood was dribbling lazily down the blade-the scimitar was so sharp I hadn’t even felt it open up my finger! There was a brief moment of uproar and some serious debating on whether or not a trip to the Emergency Room was in order. Upon secondary inspection, after I got cleaned up, the wound wasn’t deep enough for stitches, so I just put the sword away, turned the music up and had another cocktail! That sword took a ton of sanding and scoring to dull the blade enough for me to use it…and even then, though I loved it, it was so heavy I only danced with it on very special occasions. I still own it, but sadly haven't used it in years. Dropping your sword can throw it out of balance, as can bad storage. For travel to and from shows, I recommend a heavy, stiff sheath as opposed to a casing made of cloth material, because it will protect your saber better… but if you are going to be storing your sword for a long time, it would be wise to remove it from the scabbard and wrap it in cloth, then wrap the cloth in plastic. This will keep the sword straight and un-warped, and also protect it from the elements. For regular storage, when you are using the scimitar often, you can either get a weapon rack, or you can store your sword(s) flat on the floor or on a deep shelf. Most swords have stainless steel blades, so they will not tarnish easily, but anything made of metal can tarnish or oxidize. After each use, you should wipe the blade off with a soft cloth to remove fingerprints, sweat, perfume or any oils from your skin or scalp. Every so often, wipe the blade down with oil to keep it shiny- even if a blade is made of stainless steel, it still could get a bit rusty. Never use abrasive polishes on your sword! As far as dancing goes, some performers prefer to balance a sword on a wrapped turban, others prefer a bare head, and some people use wigs or falls when doing sword work. There is no hard and fast rule; you should do whatever makes you feel comfortable. Personally, I like to feel the sword sitting right on my scalp, so I know exactly where it is at any given time. Any way you choose, if the blade of the sword feels slippery on your head, you can “cheat” a little by rubbing a candle along the blade at the balance point, or roughing up the area by filing or scoring it with sandpaper. In a pinch, even spraying the balance point with hairspray so it becomes gummy will add a little traction. 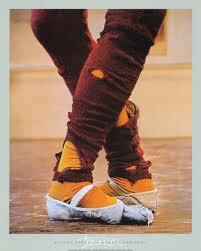 Some dancers glue a very thin strip of sandpaper along the edge at the balance point. This will not be visible from the stage but it does help to “catch” on your hair. Some types of swords come with grooves already cut into them at the balancing point- but I myself don’t find this helpful- usually the grooves are too wide for them to be able to work properly. And there are also dancers who don’t use anything, just a bare blade. Again, this is your choice. And one last word to the wise: even if a sword was made specifically for dancing, it still has the potential to injure you. Remember to warm up completely before you work with your scimitar. If you feel it sliding while you are dancing, take a moment, remove the sword and replace it back to your original, comfortable balance point, and then proceed with your act. T he main thing to remember when rehearsing or performing with swords is: SAFETY FIRST! Here's a link which features many great dancing swords…tell them The Princess sent you! WHAT I CHARGE FOR "FITNESS CLASSES"
I HATE those constant scam emails asking for dance classes and fitness classes... this one just happened to be the proverbial straw that broke the camel's back...and I wrote back! Timing for classes maybe 8am-10am. Is this ok with you? Hope you are well, and thanks so much for your interest. Indeed I am in good health, and my spirits have already risen with your email. I would love to discuss teaching fitness classes with you and your group, and the time period you stated - April- is just perfect for getting in shape for summer! Instead of just a couple of two hour sessions per day, I believe it would be a great advantage for you and your group to do do a full program of 10-18 hours a day. And though I'm sure you can afford these semi-private lessons, we really don't need to discuss payment options, because you and your group will be expected to barter in exchange for this exclusive fitness opportunity. Trust me, you will be in GREAT SHAPE by the end of our time together! The customary "pledge" you will make for being in my presence- not to mention my time and expertise - is sometimes referred to formally as acting as an as "indentured servant", for an undefined amount of time. In laymen's terms, that means I will expect you and your group to get yourselves in shape by functioning as as " slaves" (or "servants" if you prefer that term) for me and a select group of my friends. Your duties will include attending to us in any way we wish, including but not limited to: housework such as dusting, mopping, scrubbing floors, doing laundry, ironing, gardening/ yard work, serving food and drink, moving furniture, and the like. If any of you are deemed attractive, there may be other duties as well, but of course, we can discuss this at a later date. You will learn a lot from this experience, as well as get in tip-top shape for summer, I can assure you! I put lipstick on before I sit down to type an article, and also before making telephone calls. If it’s an important business call, I dress nicely before getting on the phone. I’m not talking about Skype or video chat either…just regular calls from a landline or a cell phone. Why am I telling you this, and what does it have to do with dancing? Admittedly I am quirky, but there’s a method to my madness- it’s because dressing the part helps to put you in the right psychological frame of mind for whatever you are doing. It goes without saying that as dancers, we all know about the importance of costumes! But have you ever considered what sort of effect your off-stage clothes might have on your dance practice or your career in general? If you were going to an interview for a corporate job, you would undoubtedly wear appropriate business attire to help you land the position. Showing up well-groomed and nicely dressed for a job interview proves that you are taking the interview seriously, and also reflects the fact that you care about yourself and take pride in your appearance…which sends the subliminal message that you would attend to other business-related tasks in the same careful manner. It also shows that you would be an asset in dealing with the general public. Conversely, if you were attending a costume party, Victorian event, pirate festival, 1950’s-style vintage car show, Renaissance fair or some other themed event, you would probably want to dress appropriately- it not only makes things much more fun, it actually helps your brain to switch gears, by preparing you mentally for immersing yourself into the event. If you apply the same ideas to your dance practice, it just might help you to be a better dancer. This concept was brought home to me years ago, at the very beginning of my dance career. My troupe, Flowers Of The Desert, used to gig a couple of times a week if not more, and we rehearsed two or three times a week- more if we were preparing for a special theatrical show. Our Sunday rehearsal was usually the longest and most grueling. Everyone in the troupe had a hectic schedule: we all had solo dance gigs as well as our troupe work; some members had high-powered day jobs, and others were mothers of young children in addition to everything else! Our Sunday rehearsals were tough; they were also required for all troupe members. Every Sunday, we would go over notes from the previous weekends shows, and try to correct and polish mistakes, as well as learn new choreographies. But it was typical for all troupe members to roll in for these important Sunday morning practice sessions late, bleary eyed, fresh out of bed, and wearing whatever wrinkled sweats we’d picked up off the floor or fished out of our dance bags. The rehearsal would usually start off slowly, with false starts and yawns, and our collective attention span and energy levels were pretty low. We all knew we needed to do something about this, but we weren’t sure what. At the same time, though we saw each other constantly, even with this level of interaction and familiarity, we began to realize that at our shows, we sometimes didn’t even recognize our sister troupe members… because everyone was surprised at how well we cleaned up. We were beautiful- and performed accordingly. But in rehearsal, we looked like crap...and...well, you get the idea! Finally, we had a group vote and decided to try an experiment: we decided that we needed to make an effort to look nice-or at least decent- for rehearsal, the idea being that it would help us to focus on whatever we were working on. And it did! Try it yourself by taking a little time to “suit up” for your dance classes or even your at-home practice sessions. In years past, the mark of a professional dancer was to be dressed in rags- ratty leg warmers, worn-out ballet slippers, and hole-filled tights. But even in the film "Flashdance", Jennifer Beals looked positively adorable in her torn sweatshirt and conciously mussed-up hair! Nowadays, there is such a variety of cute, inexpensive dance wear options on the market that you don't need to be flitting around it rags- unless of course it's an artistic/fashion choice on your part and makes you feel better about your dancing! Before you go to class, or get ready to practice at home, put on a touch of make-up, some cute sweats and a pair of pretty earrings. It’s a definite morale booster, and might just even help you to better get in the mood for your dancing. When you are going to a gig, make sure that the street clothes you show up in are appropriate, not to mention pretty and feminine. Remember that you will be seeing not just your employers, but also the people you will be performing for- so looking good off stage is vital to preserve the illusion of your on stage glamour! My street wardrobe usually runs the gamut from tank tops, long –sleeved t-shirts and leggings to…tank tops, long-sleeved t-shirts and leggings! But for years, I have always made sure to have a few “gig dresses” in my rotation. These are little dresses that basically look like I made an effort to look nice. 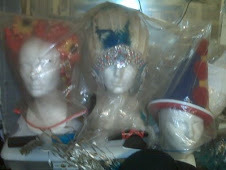 They're also appropriate for any occaision, from a private party or wedding to a club gig or dance festival. They are uniformly made of some non-wrinkling fabric (like jersey) that can be stuffed into a gig bag and still come out looking fresh after I finish my show. I also choose garments with a loose construction or shape, so that they don’t leave any marks on my body when I change into my costume. Leggings and a nice drapey long top are also a good option. If you don’t like wearing heels to and from gigs, choose some cute boots or ballet flats to wear. As for wearing cover-ups during a gig, I never go without one. I believe that stage costumes should be saved for the performance alone, and am actually superstitious about being seen by the audience in my costume before, during and after gigs. That is, unless of course people want to take post-show pictures of me in my costume! 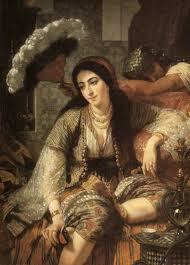 For me, a gig cover-up is essential, and I don’t count using my coat or a belly dance veil as a cover-up. Again, I like my cover-up to be portable and loose fitting so that it will not leave marks on my skin. I also like wearing something that be cool in the summer or warm when I'm in a drafty backstage area... but other than that, I have no constraints about the cover-up I choose. There are many beautiful, inexpensive garments that could function as gig cover-ups: ethnic caftans, burnout velvet robes, vintage capes, kimonos…the choice is yours. So, remember: while you are off-stage, if you dress the part of a professional dancer, you will be treated with respect. Ok, so if you have read this far, I will tell you a secret. Once, when i had a really important favor to ask ( on the phone, of course) I took off all my clothes before making the call, because I thought it would add the right touch of vulnerability to my voice. Guess what? The favor was granted!